Speaking to Refugees Deeply in Davos, the UN High Commissioner for Refugees (UNHCR) said the “big failure” in Europe’s response to the migrant crisis in 2015 and 2016 was that governments visibly struggled to house, feed, and clothe the massive influx of third world migrants who marched on the continent after German Chancellor Angela Merkel opened the border. “We need to work more with Europe, and other countries that receive refugees, to make reception systems more effective for larger numbers than before,” he said, lamenting that migrant reception systems in the bloc had “cracked under the pressure” of huge inflows. A perception that services were “not able to handle” the sheer number of newcomers descending on EU nations from Africa, Asia, and the Middle East, Grandi said “caused a lot of negativity” and prompted European demands that politicians “push refugees back, close borders [and] build a wall”. The Italian diplomat is not a fan of walls, as Breitbart London noted in September when Grandi blasted Hungary’s border fences for doing their job. 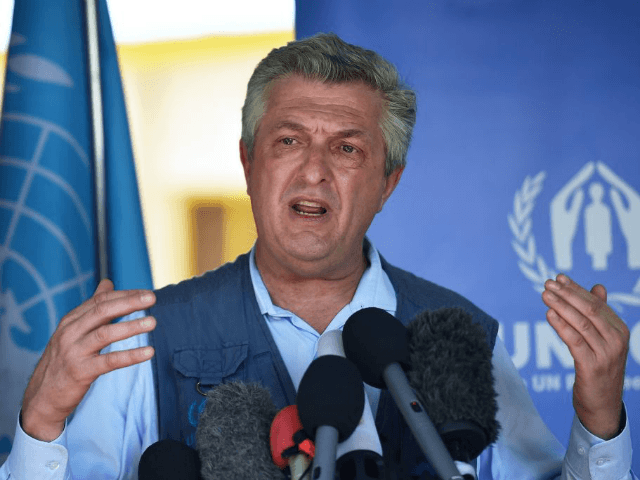 In the interview, which was published on Wednesday, Grandi also told Refugees Deeply co-founder and executive editor Lara Setrakian that Europe should speed up granting passports to refugees, claiming that the privileges of citizenship aid migrants’ integration. For “wealthy states, especially European states”, resettling large numbers of refugees on a scale like that seen at the height of the migrant crisis is perfectly doable, he insisted. “Of course it requires an effort. In the case of Europe, it also requires regional cooperation, something that is politically difficult,” the Milanese figure said, remarking that “European Commission leaders in Brussels” appear to be working along lines which would further UNHCR goals. Breitbart London reported Thursday on EU migration commissioner Dimitris Avramopoulos’s announcement that it would be “unacceptable” for any European nation to refuse the resettlement of third world asylum seekers, declaring that mass migration from Africa and the Middle East is part of the “principles and values” on which the bloc was built.